In the past, we've passed along some stories about how the heart rate monitor on the Apple Watch was able to save some lives. Then, when the Apple Watch Series 4 added the electrocardiogram (ECG) feature, the stories changed. The ECG monitor was the new hero, detecting abnormal heart beat rhythms that point to Atrial fibrillation or AFib. This is a condition that can lead to blood clots, stroke and heart failure. According to KIRO-TV in Seattle (via Apple Insider), the Apple Watch Series 4 once again came to the aid of its owner. This unnamed man had been previously diagnosed with AFib, and his heart had been beating normally. As a result, he was taken off blood thinners. Dr. Phil Massey, a cardiologist with Pacific Medical Centers in Seattle, said the man came into the office with his Apple Watch Series 4, and showed the Doctor the results of an ECG he had recently taken with the device. Dr. Massey said he agreed with the timepiece that the man's AFib had returned, and he started the patient back up on blood thinners. The cardiologist said that the Apple Watch could be credited with saving the man's life. "...we got him on a blood thinner to prevent a stroke, so that is a big deal," he said. Witnessing first hand how owning a smartwatch can actually make the difference between life and death, the Doctor is optimistic about the future. He said, "I am hopeful that other heart rhythm problems will be able to be detected in the future outside of the doctor's office. And that's exciting." If Google unveils its rumored Pixel Watch this year, it too might feature an ECG monitor. Last month we told you that the Verily Study Watch, used for research and available by prescription only, recently received FDA approval for its ECG feature. That's a big deal because Verily is owned by Google parent Alphabet. It wouldn't be much of a stretch to believe that Google would port over the monitor for its own timepiece. The GPS version of the Apple Watch Series 4 starts at $399 at Apple. The GPS + Cellular model is priced at $499 and up. Millions of AW4 sold and just three people have been saved, that probably would have made it anyway. No articles about all the ones that seek medical care that dont need it, just because of the watch? AW4 release = 20-30 articles first week. AW4 random stories = 5 articles per week. Samsung Galaxy Fold = 2 articles total. What's your point about fold? There's nothing to write about it, no-one couldn't see it up close or touch it and the release day is far away. I'm sure we going to have plenty articles about it when it finally hit to stores or someone gets test unit. Verge has 3 articles about it, the newest "The Galaxy Fold makes no sense as a consumer device yet"
A recent study concluded that the AW4 did extremely well detecting a normal heartrate. It failed miserably when it came to actually detecting, like in this story, AFib. A shockingly low 8% accuracy. How was this device ever allowed FDA approval? My guess, a healthy infusion of cash by Apple. where is this study? 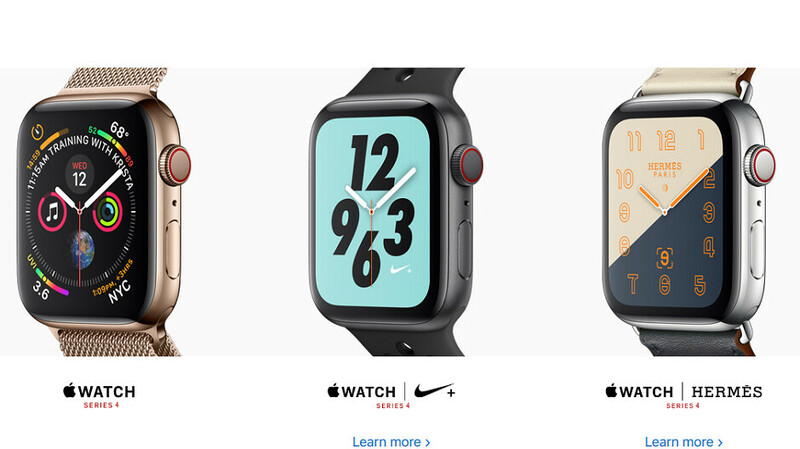 only thing i can find is this "Now, a new study from the FDA has found that Apple’s latest smartwatch can accurately detect atrial fibrillation more than 98 percent of the time." It's funny how you're always incapable of finding anything negative about Apple or its products, yet when it comes to things that support your claims you never fail. It's almost like you don't even try... o_O It was an independent study among 1,600 participants, some perfectly healthy and some with heart conditions and it wrongfully detected AFib in 92% of the cases. It only got it right with 8% of the time. That's seriously bad. So excuse me for taking an FDA study that says the opposite less than serious. If a patient had AFib it did detect it right 91% of the time. But 92% false alarms is not good. So again where is the article? I can't find anything from google about it. If that happened we would find lot of articles about that. You know it very well. And some other studyes would have found those results too. So why don't google know anything about that? I'd probably like a doctor to weigh in here, but my mother suffers from atrial fibrillation and it's not something that goes unnoticed in a way that it has to be detected by a smartwatch. It's the erratic loss of normal heart rate, so how can somebody miss it? I think these stories are grossly exaggerated. Also because normally you're not in immediate danger of having a stroke, particularly if you have such a slight aFib that you wouldn't notice, until your watch says so. It may have helped people to go to doctor a bit earlier but saying that the Watch saved another life? Unlikely; it just makes such a great, sentimental headline. It's about people wanting their 15 minutes of fame with stories that kinda, sorta, could potentially have something to do with the Apple Watch saving their lives, but not really, because usually common sense would've tipped them off to something being wrong with their hearts anyway. Of course the amount of false alarms is ignored at every turn and there have been a lot of those. You're just salty because Apple is bring positive, life affirming products into peoples lives. Go place some more widgets and move your apps around and install a custom launcher, and you'll feel better. Except high blood pressure kills far more people than AFIB and Samsung is the only one that checks for it. Where is all the high praise for Samsung? It is good Apple did this but PhoneArena is just a marketing company for Apple at this point. Also, there are far better and cheaper ways to detect this and MANY other health issues. Check out the Withing products. They have a blood pressure monitor that not only checks for AFIB but several other heart issues. Plus it does blood pressure and several other checks. Your whole family can use it as well. With Apple's views. Promoted by them. Get this feature on every smart watch. Kudos to Apple for this feature. As a fitness/health enthusiast, I’m all for the health focus on these wearable’s, and I’m giving Apple the credit it’s due here. Glad the guy is ok, take care of your heart, and overall health folks. It’s no joke. Get at least 30 minutes of cardio in a day, and eat healthy. More advertising for Apple. I hope they are at least paying well for these. Thank goodness for this. It had been at least 2 days since the Apple Watch last saved a life. I thought it was going into retirement. Canonize this watch, because it is miraculous! !! Almost every day a miracle!